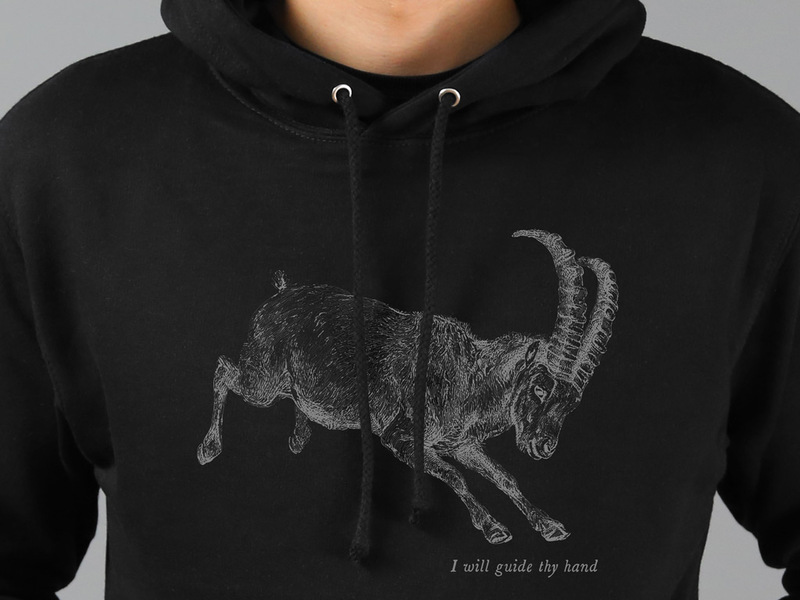 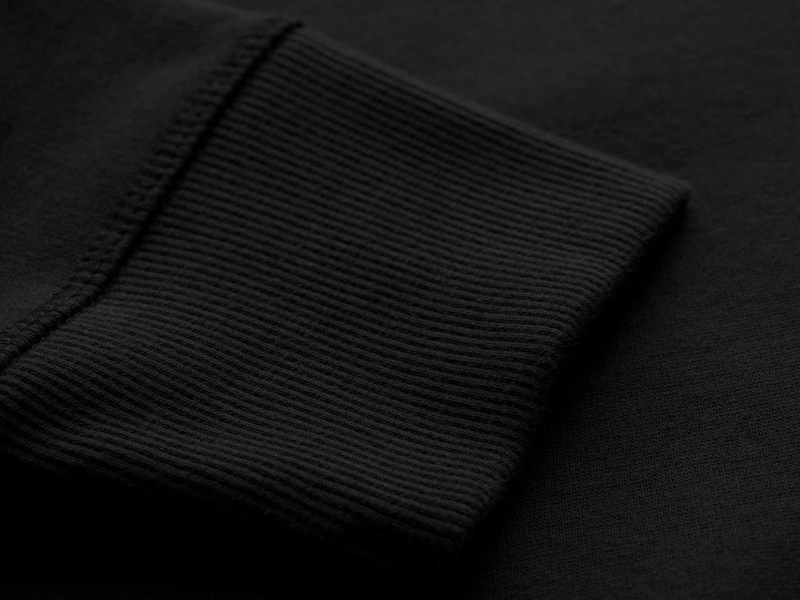 A single colour design, hand screen printed on a 80% cotton/20% polyester black hooded top. 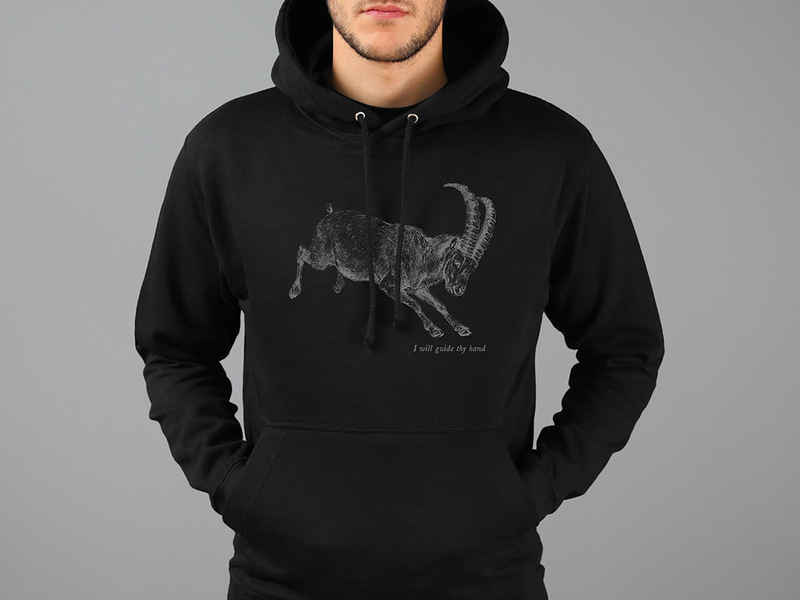 Inspired by Black Phillip, a character featured in the film The Witch, a 2015 period supernatural horror film starring Anya Taylor-Joy, Ralph Ineson and Kate Dickie. 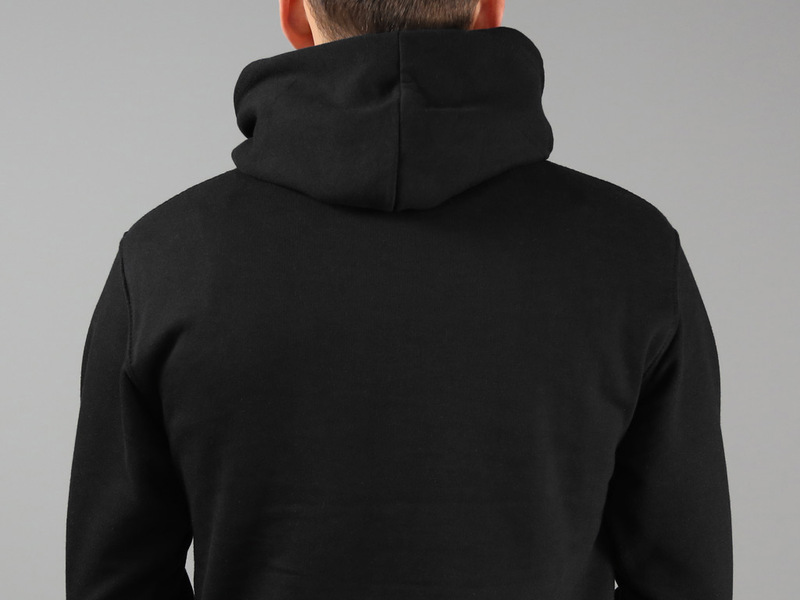 Features a kangaroo pouch pocket with a small hidden opening for ear phone cord feed and includes convenient headphone loops.